The CBD Hemp Gummies market continues to explode. By now, you probably have heard about CBD dummies and Hemp Bombs specifically. If you have not, it is time to start paying attention. 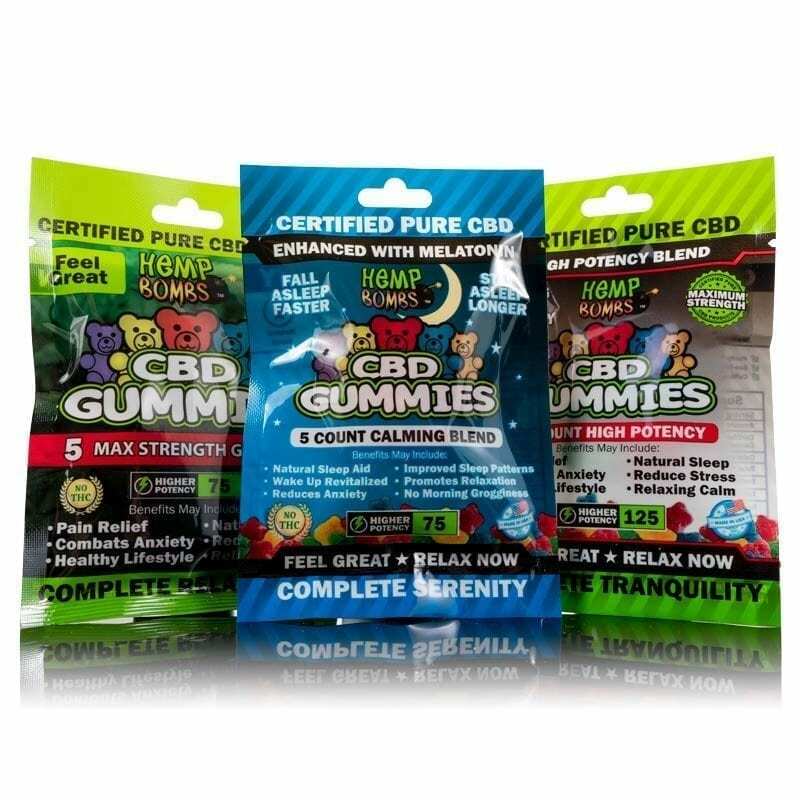 What exactly are CBD Gummies? What makes them so popular? We are going to get into detail on CBD Gummies from Hemp Bombs to lift the lid on a product you do not want to miss. Improved Mood - You can expect to find yourself in a much better mood after you consume Hemp Bombs CBD Gummy Bears. Hemp Bombs traditional CBD Gummies contain 15mg of CBD to put you in the perfect state of relaxation. They are going to put a smile on your face as you will find a much calmer and peaceful sense of mind. Pain Relief - Do you often suffer from pain in your joints? How about pain in areas such as your elbows or your knees? Hemp Bombs CBD Gummy Bears may help reduce and ease painful areas of your body. By targeting aches, cramps, and sores. CBD contains pain-relieving properties to help subdue your pain. Better Sleep - You may also find that you will get a better, more natural quality night sleep. 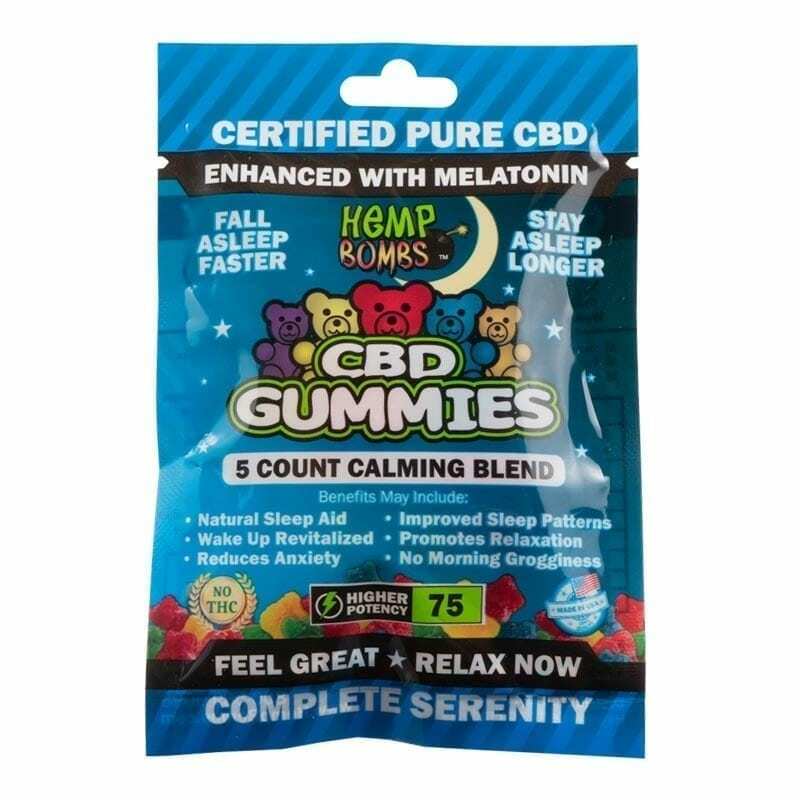 If you find yourself up at night, the Hemp Bombs CBD Gummy Bears may be the answer to helping you unwind and catch up on those lost hours of rest. CBD Gummies may help alleviate insomnia and other sleep annoyances that deprive you of a wholesome night's rest. Calmness - You will be amazed at the sense of calm that will take over your body after you eat Hemp Bombs CBD Gummy Bears. 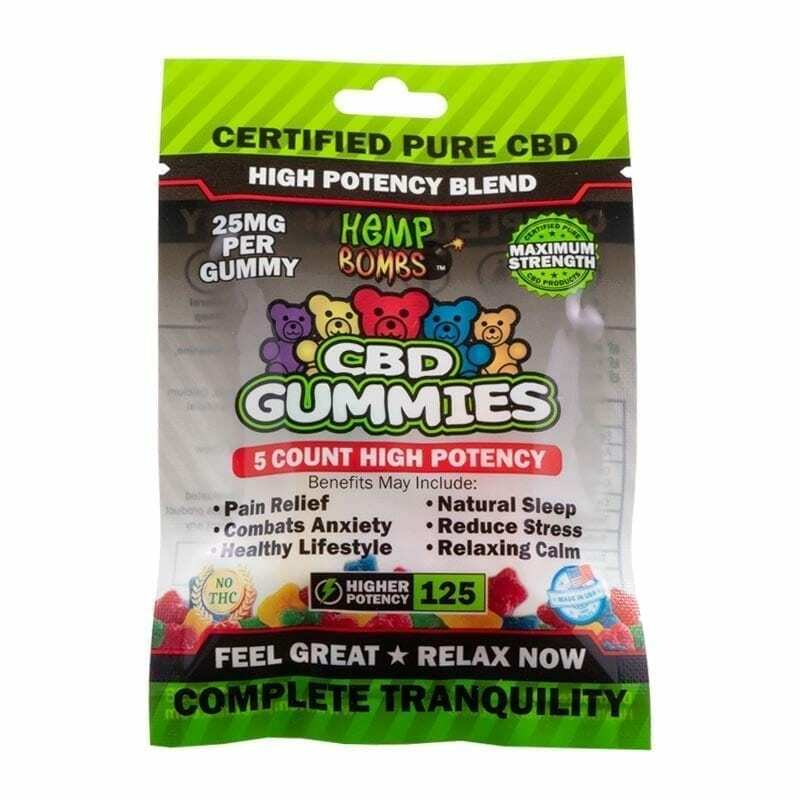 CBD Gummies promote a state of serenity that may combat feelings of stress and anxiety. Inflammation Reduction - Do you have inflammation anywhere on your body? Are you trying to reduce it? Hemp Bombs CBD Gummy Bears naturally contain anti-inflammatory properties that bind to your body's cannabinoid receptors to help subdue areas of inflammation. CBD is also known as Cannabidiol, and it continues to become more and more popular all over the world. It is known to have some powerful therapeutic qualities, helping individuals with both their physical and mental state. CBD or Cannabidiol is a compound known as a cannabinoid that can be derived from the Hemp plant. In total, over 110 Cannabinoids can be found in Hemp. The most common and popular one is CBD. Some of the other common ones include CBC, CBG, as well as CBN. Hemp is often classified with being the same plant as marijuana, which they are not. This often categorizes CBD with its sister compound that is known as THC. CBD is different though, in that it's not going to cause a high. You will not experience the psychoactive effects that you get from THC. Instead, CBD is all about helping your physical and mental state, improving health benefits and bringing a relaxing and calming state into your life. The origins of CBD depend primarily on where you live. Before the U.S passed the 2014 Farm Bill, most of the CBD products that you would find in the United States were coming from Europe. The Farm Bill of 2014 changed that, giving American farms a chance to cultivate Hemp under a pilot program. At Hemp Bombs, we proudly source our premium organic Hemp from highly skilled American farmers. In order for Hemp to be legally grown in the United States, the plant must contain less than 0.3 percent of THC. Industrial Hemp provides the best source for CBD cultivation in the United States. 27 states allow for research and pilot programs involving Hemp and CBD production. 20 of these states will enable Hemp growth and CBD output for commercial purposes. 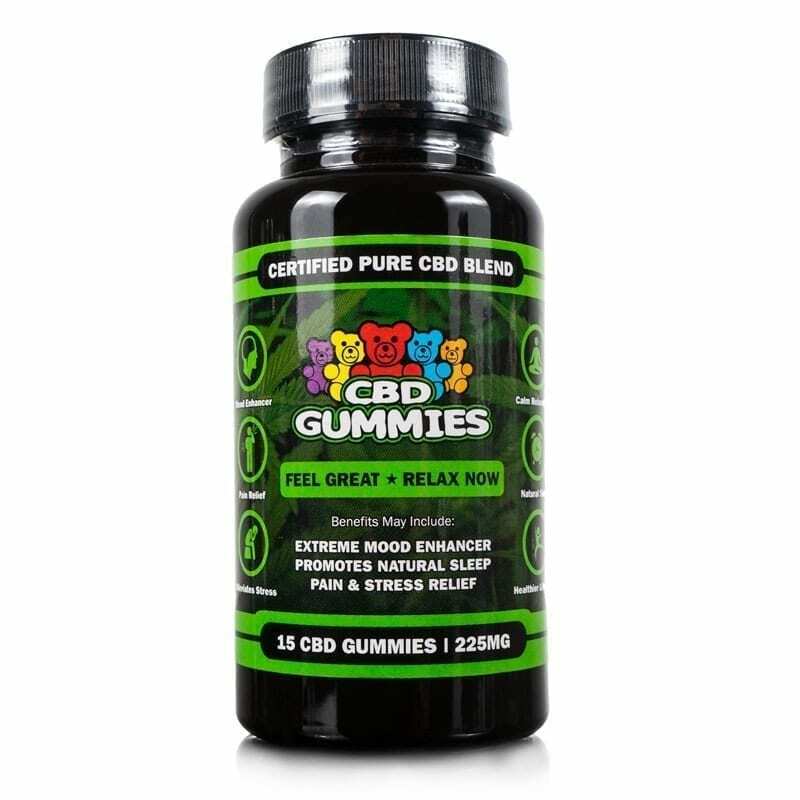 CBD Gummies make it easier than ever before to consume CBD. The consumption of CBD is something that many consumers often wonder about. What is the best way to intake CBD? The answer is often a personal preference but receiving your daily dose of CBD in a delicious gummy form is easy and tasty. 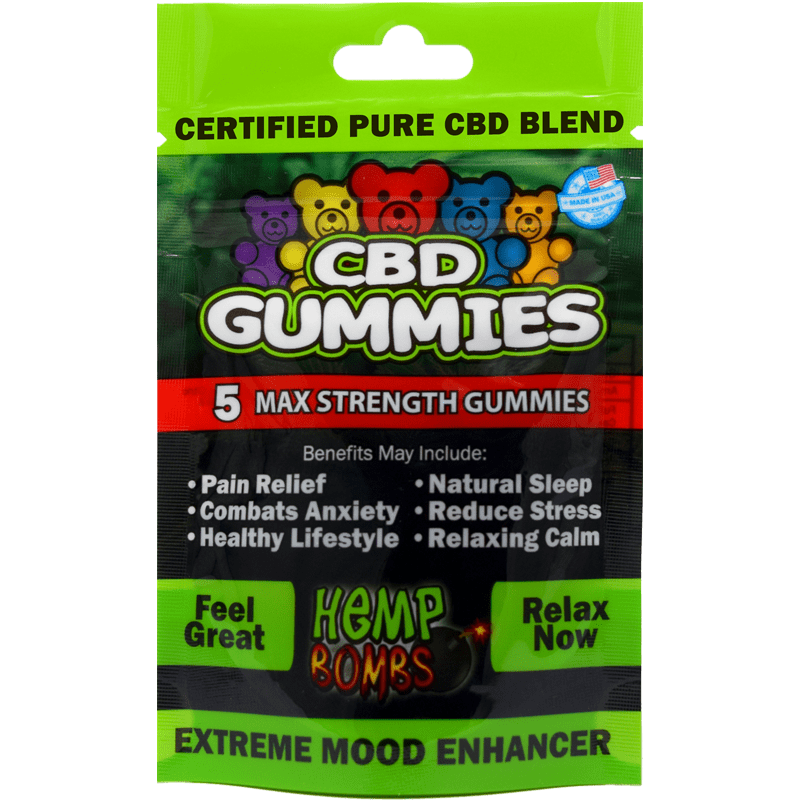 Gummies make for a scrumptious edible way to consume CBD, and they also give you clarity regarding the exact amount of CBD you are putting in your body. Hemp and Marijuana are from the same species of plant, Cannabis. They are different though due to contents that make up the plant. Marijuana is going to have low levels of CBD and high THC levels that range from 30 percent and up. When you compare Marijuana to Hemp, Hemp is going to have THC levels lower than 0.3 percent and high traces of CBD. At an overview, Hemp and Marijuana are both types of Cannabis plants. That is about where the two plants commonalities begin and end. Hemp is not psychoactive, while Marijuana entirely is. Hemp also can grow in just about any climate. It requires minimal care and maintenance for successful growth. Marijuana needs to careful cultivation and a controlled atmosphere. The benefits of Hemp Gummy Bears are endless. The whole point of CBD, as we have talked about already, is to promote the highest level of relaxation possible. When you consume Hemp Bombs CBD Gummy Bears, your body will potentially feel the effects of reduced anxiety and stress. You do not have to worry about getting “high” as there are zero traces of THC in Hemp Bombs Hemp Gummies. We can also ensure you that you won't fail a drug test. You can continue to do what you would typically do on a day to day basis, with a clearer head on your shoulders. One of the big reasons people are hesitant to try out CBD is that they do not think it is legal. That could not be farther from the truth. Hemp Bombs CBD Gummy Bears are entirely legal. CBD products that are isolated, like Hemp Bombs, are authorized to sell and buy. What makes the Hemp different? It all comes down to the THC levels. You can consume Hemp Bombs CBD anywhere in the United States, and you do not have to worry at all about any legal consequences. Hemp Bombs CBD Gummies are perfectly legal to consume without any legal implications or a failed drug test. When formulating all of our CBD products, Hemp Bombs maintains the absolute quality control over all processes. It all starts when we source our premium Industrial Hemp from reliable American farms. Hemp Bombs separates ourselves from the competition by selecting only organic Industrial Hemp. Our Industrial Hemp then goes through the isolation process known as the CO2 Extraction method which is currently known as the purest and cleanest way to extract CBD. The CO2 Extraction process rids any remaining traces of THC from our CBD, and it is also eco-friendly. Once we have sourced and derived our premium CBD, we can infuse it into our delicious Gummies. At Hemp Bombs, we even go the extra mile by having third-party lab tests conducted to ensure the purity and quality of our CBD used. Third-party lab tests are unbiased and provide you the assurance that the CBD Gummies you are consuming are valuable to your health. The many health benefits that go along with our CBD Hemp Gummies make it a respected product for your daily lifestyle. Hemp Bombs CBD Hemp Gummies are an all-natural supplement formulated to improve your overall health and wellness. Shop our CBD Gummies below and get ready to experience the potential relief from anxiety, stress, inflammation, pain, and much more.